Actually the real holiday took place two weeks ago, but today’s DisClaimer column is nonetheless chock full of veteran record makers. Rascal Flatts, Garth Brooks, Larry Cordle & Alison Krauss and even The Doobie Brothers are here. Even so, the youngsters twirled brightly in the spotlight. The two best songs of this listening session are “Bar Band,” co-written and performed by Adam Hood, and the even more creative “Time Has Wings,” co-written and performed by Chris Weaver. 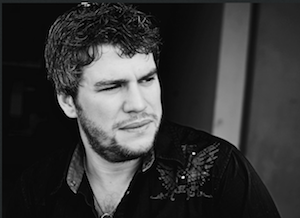 The latter is accompanied by a breath-taking production and earns the Chris Weaver Band a DisCovery Award. Give this record your undivided attention. 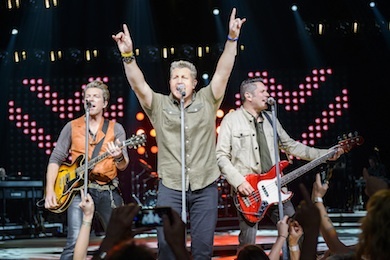 Speaking of productions, Rascal Flatts has seldom had a track as well done as “Riot” is. It earns the group a Disc of the Day. -Holy smokes! This is awesome, full of drama and meaning and soul. He grabs you by the neck from the first notes of his gritty voice. The lyric of a couple growing into middle age and staring into their past, present and future is simply brilliant. The driving track pounds with passion while Kim Carnes and Kim Keyes lend a thrilling, gospel-chorale backing. A loud, “Amen” from this corner. -I loved this guy when he was an indie act. His graduation to the major leagues is a good-natured, smiling bopper with personality to spare. -This is a consistently good artist, and his latest is his best yet. The lyric of this mid-tempo toe tapper contrasts his shortcomings with her qualities. “She’s like a Sunday morning/I’m a Saturday night/She’s like a stained-glass window/I’m a neon sign.” The conclusion/chorus is that she’s at her best wearing nothing but a smile and “that look” in her eyes. Well done. -Very sentimental. The striking, idiosyncratic ballad is sung from the point of view of a baby waiting to be born, having a conversation with God. -Sprightly, brightly rocking. Their pert trio harmonies are flawless, and the lickety-split tempo tune of a guy who drives the gals nuts is ear catching, too. -The word-y lyric sometimes scans awkwardly, but the super-compelling vocals and enthralling production pull it together and bring it home. The sound of real pros at work. -This man’s records should come with a “satisfaction guaranteed” label. He has an enviable track record as someone who always performs with class and writes with finesse. This song of a journeyman honky-tonker deserves to become an anthem of country singers everywhere. If he doesn’t have a hit with it, someone sure should. -Cordle is a successful Music Row tunesmith who is also a regular bluegrass performer. His latest CD is All Star Duets, which finds him harmonizing with the celebrities who have made his songs famous. It is fascinating to hear Diamond Rio, Garth Brooks, Terri Clark, Trisha Yearwood, Kathy Mattea, Kenny Chesney, Travis Tritt and the like in this context. Needless to say, the sublime Krauss slips into his lilting bluegrass setting with ease. Heartily recommended, without reservation. -Jentry’s self-titled EP leads off with this busy-sounding track: Too much electric guitar and a vocal that’s not clear-sounding enough. -We got a taste of “Listen to the Music” on the CMA show with Blake and Hunter rocking with the Doobies. But the group’s Southbound CD of country collaborations has an even stronger rocker. Chris Young is performing this at his concerts and killin’ it just like he does on the album. Righteous.